Students working at the Virginia Tech Dining Services Farm at Kentland Farm. The farm produces sustainably grown local foods for VT's dining centers. 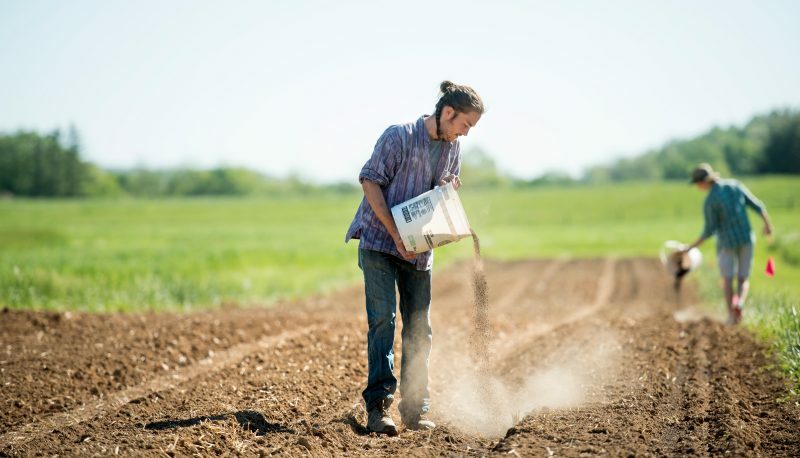 Pictured above, students in the Sustainable Agriculture Practicum class (HORT 2834) prepare the ground for spring planting at Virginia Tech's Homefield Farm. At Virginia Tech Dining Services, we're serious about sustainability. As part of our Guiding Principles, we have pledged to promote a sustainable dining and food system, both at Virginia Tech and within the greater community. How are we supporting sustainability efforts on campus? In Dining Services we are working hard to increase sourcing of local and sustainable products in our dining centers. We’re also committed to recycling and composting, and we have an innovative “reusable to-go” program available in many of our dining centers. We believe in creating a more sustainable Virginia Tech. You can read more about our efforts by clicking on the links on the sidebar, or by visiting our Twitter. Still have questions? Feel free to email us at sustainabledining@vt.edu. Are you passionate about food and sustainability? Apply to be part of our Sustainable Dining internship team! Paid internships are availbile each fall. For more information, or to apply, please visit Sustainable Dining Internship or email sustainabledining@vt.edu.